Downfall has been recorded in the luxury hotel room stays around the past few years. Especially, in tier 3 cities like Agra, Hyderabad, Bangalore etc. the lack of supply and the unavailability of highest standards of comfortability at the correct time has inspired the foreign investors to tie up with the major builders of the nation to construct here the residential projects. 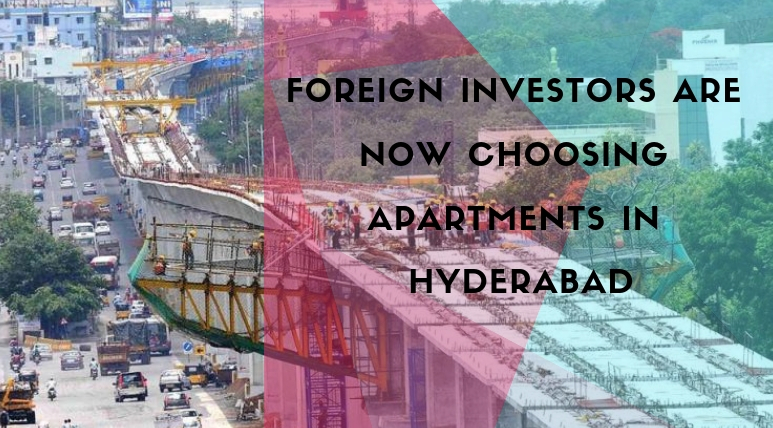 Major real estate giants of the nation like DLF, Emaar MGF, Unitech, and Parsvanath are now bringing their residential projects in tier 2 cities and foreign investors are raising their funds and investing here to earn higher returns. The real estate market of India is on a booming mode and the availability of potential buyers in the country has inspired these foreign investors to go with the residential projects despite to the international hotel chains in the country. A drop in the occupancy in luxury hotel rooms and the higher rates are the main reasons behind the decreasing popularity for a hotel room. The inflow of business travelers and tourists to India has still raised here the demands but now their attraction is towards the residential projects. There is a great potential in India’s real estate and the increasing property prices over the years have influenced the foreign investors to invest here in these types of residential properties more. 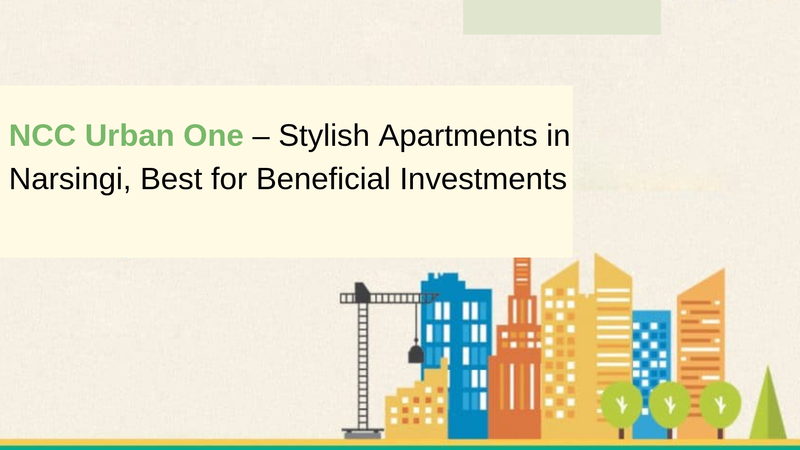 A highlighted property with 22 acres of whopping land area is getting immense popularity in Hyderabad city and NCC Urban One is a great project for those who are looking for multiple returns from the residential properties in India. The project lies in Narsingi and it comes in proximity to the major IT hubs in the city. Homes in 3 and 4 BHK configurations are available in the development which has whopping apartment sizes ranging from 1535 sq. ft. to 3380 sq. ft. These homes are designed with brilliant floor planning and that is why users here can avail maximum space utilization, glorious interiors, and ample ventilation. 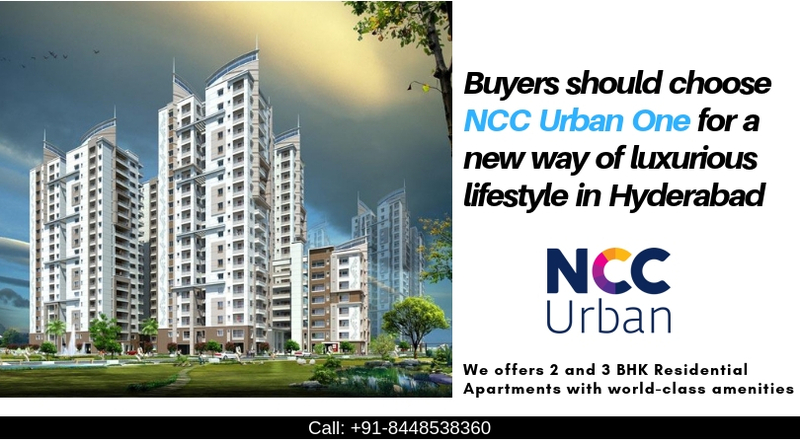 Amenities available in NCC Urban One Hyderabad are tremendous and some special features of this section here include a large infinity pool, a grand clubhouse, modern gym, meditation center, kids’ play area, landscaped garden, function lawn and much more. Prices offered here for the purchase of apartments range from INR 75.98 lakhs to INR 1.74 crores.